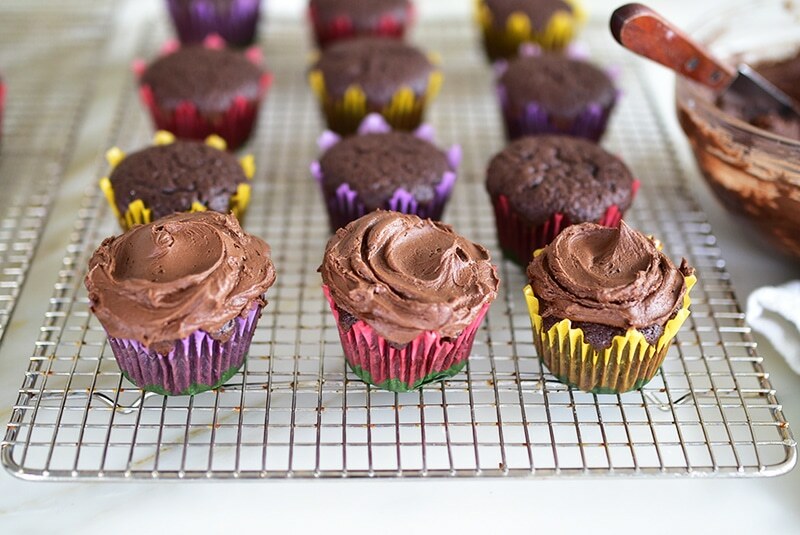 Frosted chocolate cupcakes made with yogurt are a knockout–moist, tender, with fabulous, complex flavor. Maybe it’s because Lent is around the corner, and the very thought of fasting makes one, well, VERY HUNGRY. Maybe it’s because out of all of the incredibly good birthday cakes we’ve eaten during our winter birthday cake season over here, we missed a chocolate cake. Maybe it’s because I am, in a word, crazed. for my birthday couple of weeks ago by my smart, adorable sisters-in-law. Spectacular, no? 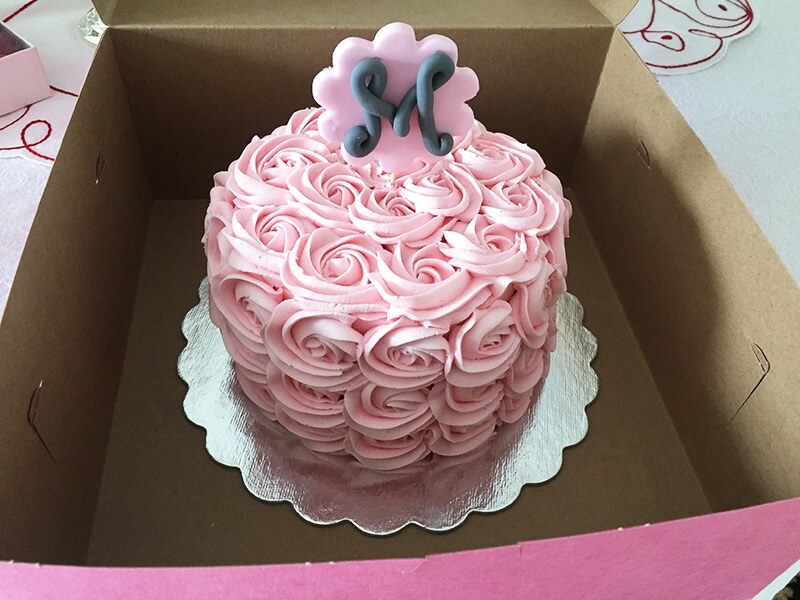 A dream of a cake in vanilla and berry, and it was even iced in my signature birthday cake color. As Peg would say, it made my head pop off! I practically had to hide this birthday cake from Dan so there would be a piece left for moi (when I ran out the door to get ice cream for the cake, he reminded me to get his favorite, vanilla. He considers everyone else’s birthday very much his own). Despite (or more likely, because of) eating hordes of that gloria in excelsis of a cake, I’m still thinking about cake. Something is wrong with me. Scrounging amid the remains of the Valentine chocolates (did you think I’d save them for company the way Aunt Hilda did, or dole them out one at a time? ), I’m thinking: chocolate cake. Eating my own decadent s’mores brownies last week, I’m still thinking: chocolate cake. My nephew was too, because he declared a cake version of those brownies would be his birthday cake in April (we plan ahead around here). 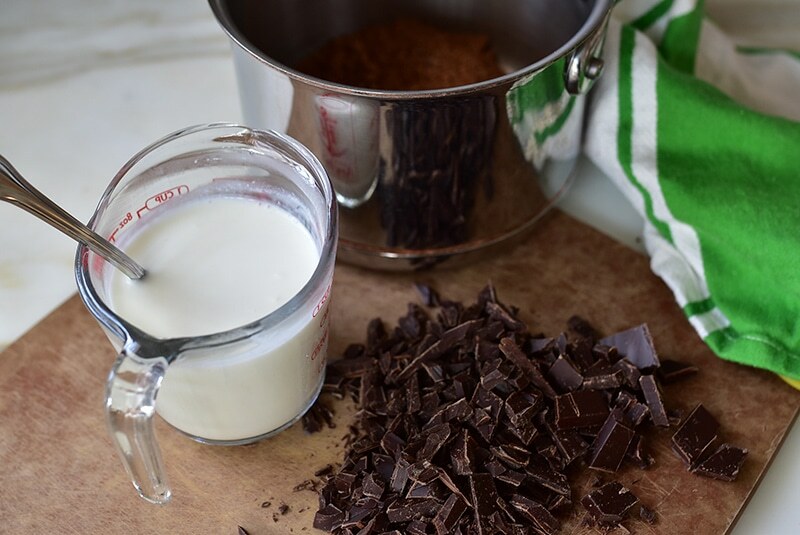 Then, hovering over this week’s batch of homemade yogurt, our Lebanese laban: chocolate cake. Sometimes I think I love white so much just so I can see the rich contrast of chocolate against it. It may seem like a leap, but the finest golden cake I’ve ever made or eaten called for yogurt. Not sour cream that I subbed with yogurt (which I often do in recipes, to great outcomes), but straight up, a trusty Joy of Cooking cake recipe calling for yogurt. But then I recalled the chocolate cake I read about a few weeks back on a flight. Thank God for the Go-Go in flight wifi, which was not functional that day and which in turn forced my hand and head to my reading. Between Provence, 1970 (such a good book!) and Cook’s Illustrated March-April issue, my head was happily dreaming in the clouds in more than one way that day. Winner simple chocolate cake—made extra-moist with our laban, and no big mixer equipment needed here, so we can swiftly satisfy even the most persistent chocolate craving. The cake was inspired by one in Cook’s Illustrated. My addition of laban (yogurt) in the cake adds moistness and a tender crumb; in my mom's buttercream, it adds a tang and depth I love, so good with all of the sweetness. Heat the oven to 325 degrees. 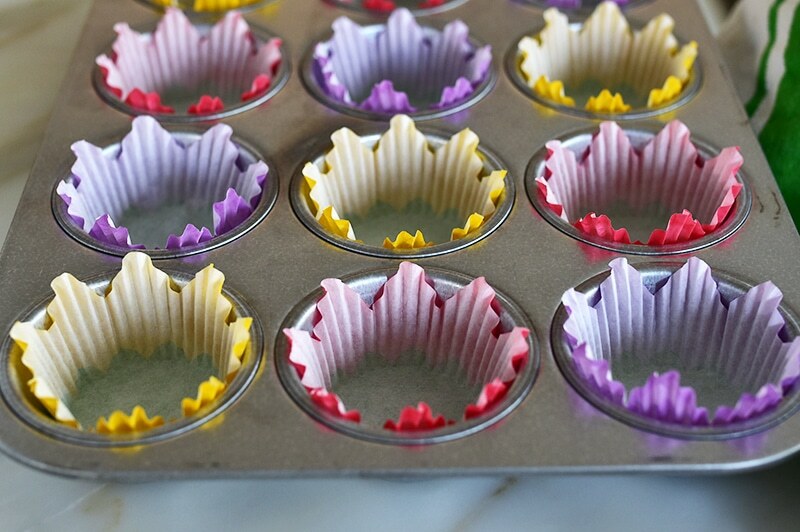 Line muffin tins with 18 paper cups. 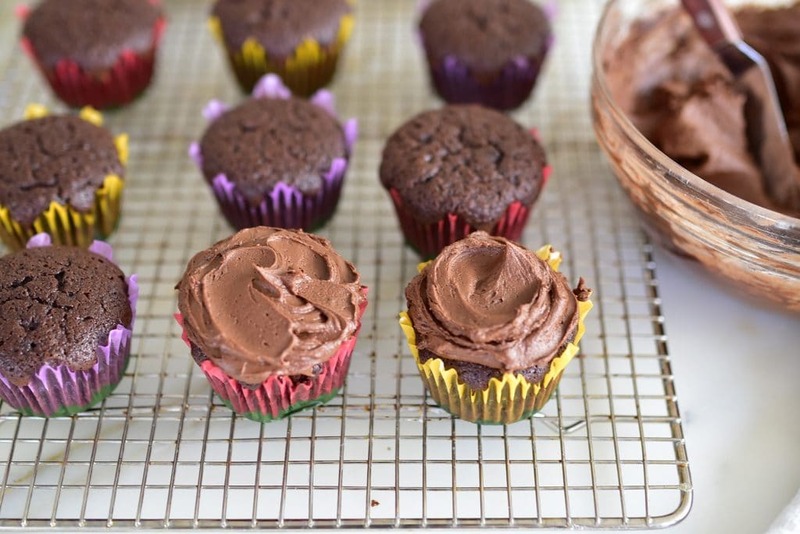 In a large bowl, whisk the sugar, flour, baking soda, and salt. In a liquid measuring cup, stir together the yogurt and milk. 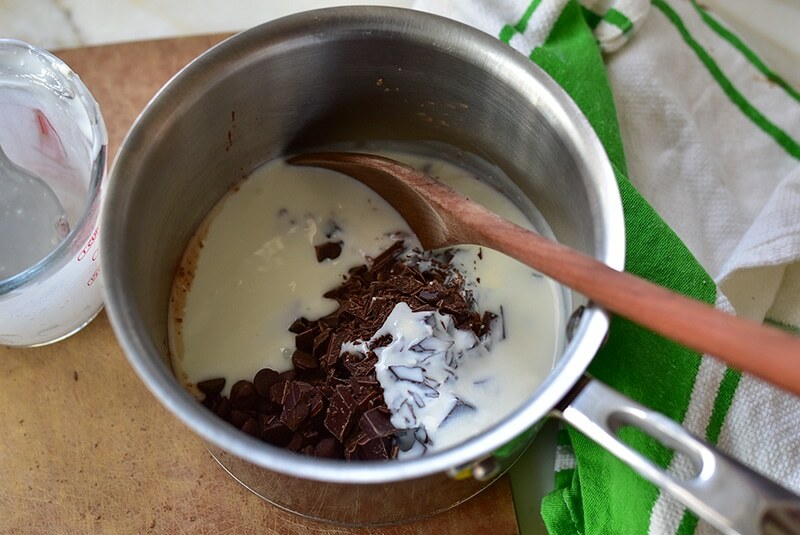 In small saucepan, combine the yogurt mixture with the chocolate and cocoa. 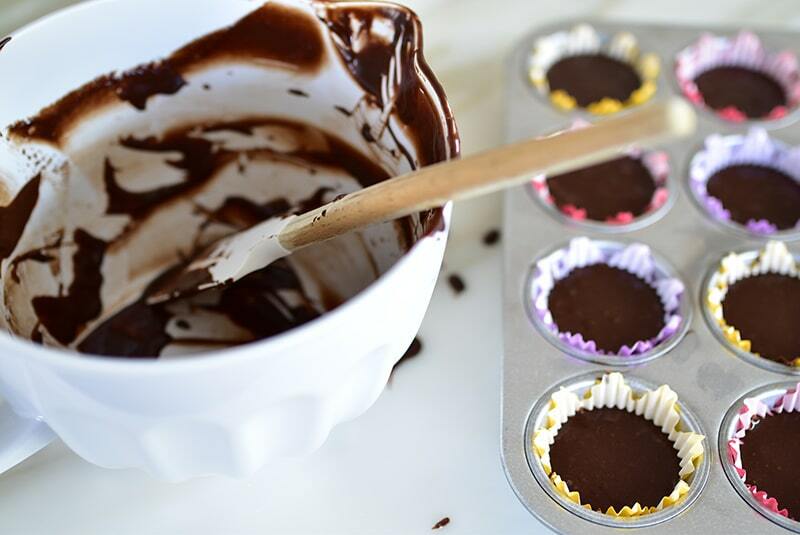 Cook over medium heat, whisking until the chocolate melts and the mixture is smooth. Remove from heat to cool for about 5 minutes. 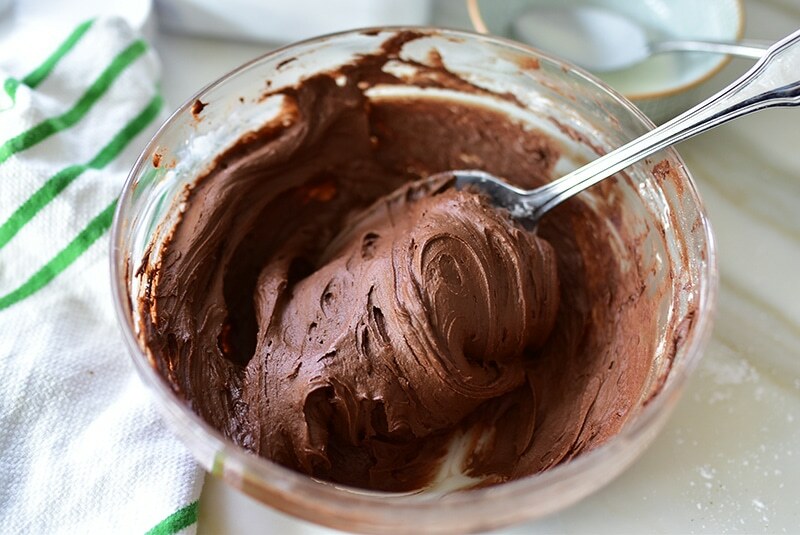 Whisk oil, eggs, and vanilla into chocolate mixture (mixture may initially look curdled) until smooth and homogeneous. Add this to the sugar mixture and whisk until combined. 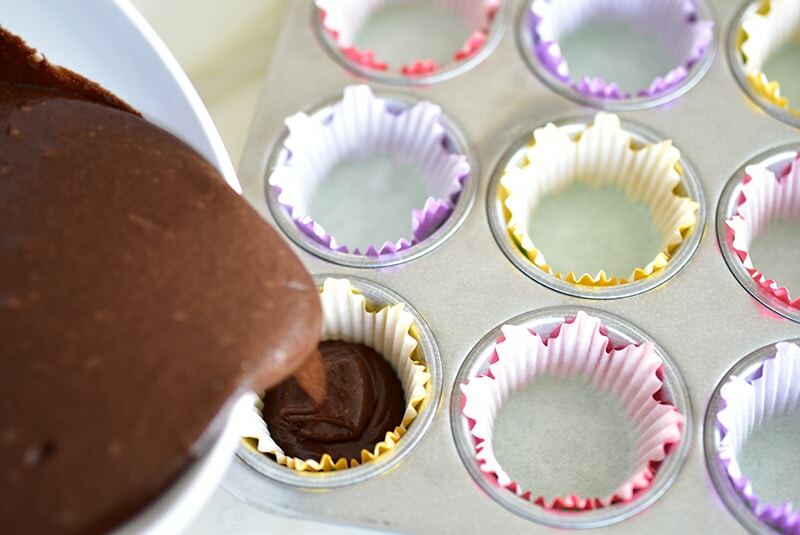 Pour the batter into the lined tins to about ¾ full per cupcake. 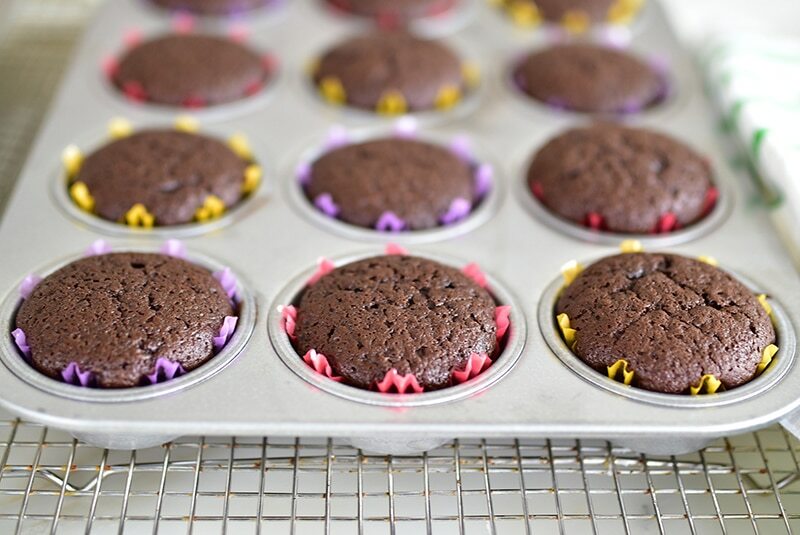 Bake until the center of the cupcakes springs back when lightly pressed and a toothpick inserted in center comes out with a few crumbs attached, 20 to 25 minutes. Cool the cupcakes before frosting. 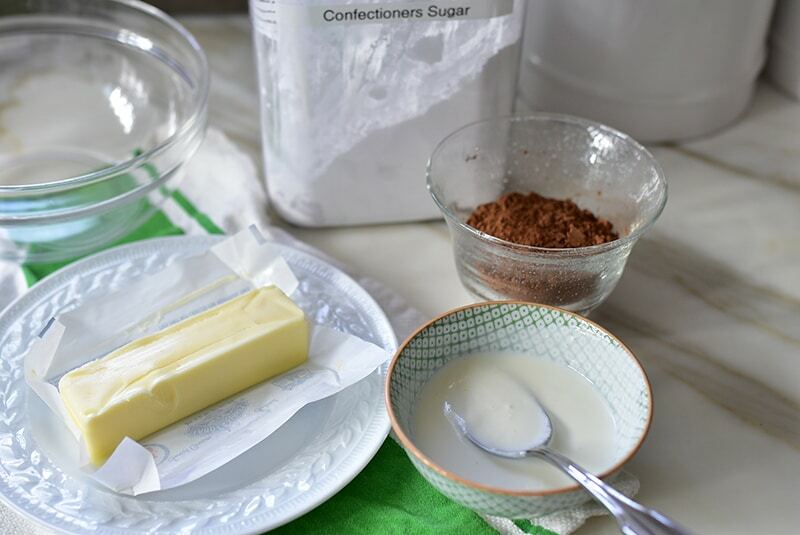 For the buttercream, in a medium bowl, work the butter and cocoa together using the back of a large spoon until completely combined. 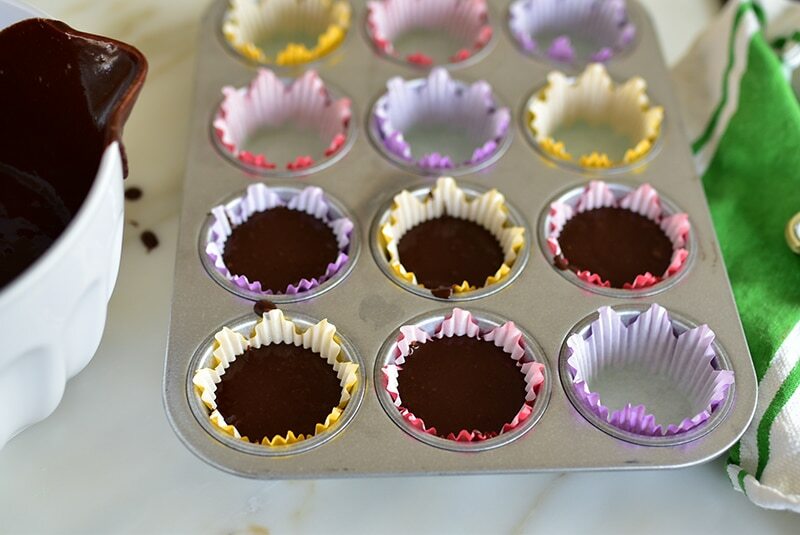 Add the confectioner’s sugar one cup at a time, alternating with the yogurta tablespoon at a time to moisten. Add the vanilla and stir until smooth.